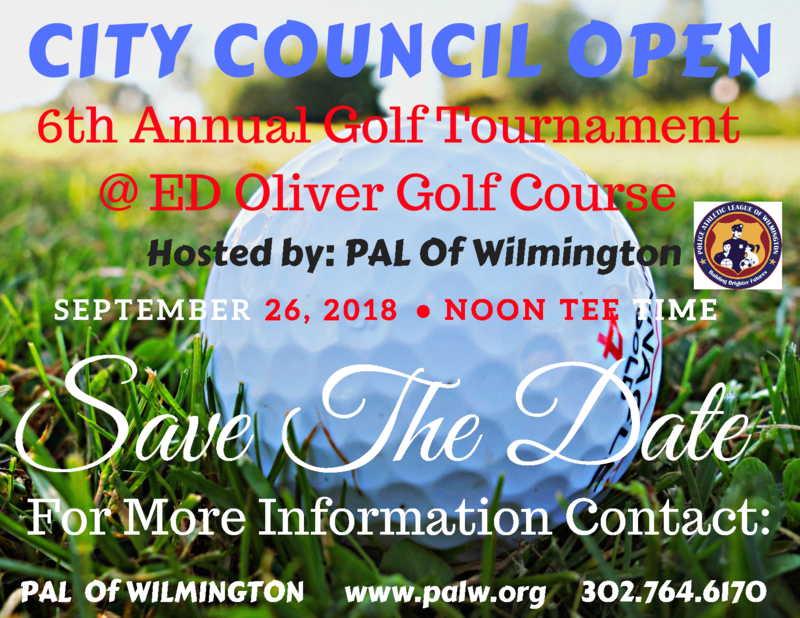 The 6th annual City Council Open Golf Tournament features an afternoon of fun and networking at Ed Oliver’s Golf Course in Wilmington, followed by dinner and prizes. The dinner will also include a silent auction, 50/50 raffle and entertainment. Come out and show support for the Police Athletic League of Wilmington. The PALW has been serving the children and families of Wilmington since 2002. Sponsor Form Early bird registration has been extended to June 30th. All proceeds for this event will benefit youth and family programs at the Police Athletic League of Wilmington. If you cannot attend the City Council Open this year but wish to support the PALW and our programs offered, considered making a direct donation! We accept a number of different payment methods.